Tammy Alban of Upperco thinks her new retaining wall and patio look beautiful … until it rains. Then mud and water pour in through the bottom of the retaining wall and water gets behind the wall in the basement due to poor workmanship. Alban says she is at a loss on how to resolve the situation since the contract is unclear on how to settle a dispute. 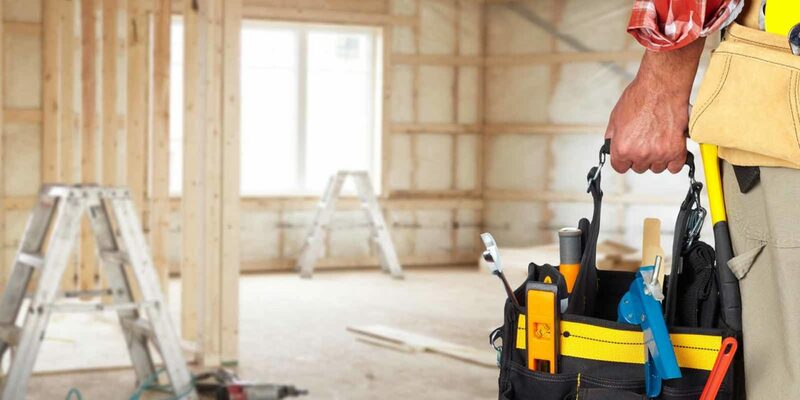 Most home renovations don’t end up in court, and those that do could have been avoided in many cases if the homeowner had done his or her homework. Alban said she sees in hindsight that the shoddy work could have been avoided if she had insisted on getting permits, because an inspector would have stopped it early on. However, when she asked, her contractor told her the project didn’t need a permit and that it would only increase the cost. While it is nice to hire a contractor to do your remodeling for you, sometimes you just can’t afford to have your dream room or renovation made real. You still can make some improvements on a reasonable budget. If you’re lucky, some small changes can make a room look brand new. Add accent pieces to create a new look in a room. Area rugs, throw pillows, plants. They can all give a room a different look. If you like your current wall décor, maybe a new frame will breathe new life into the look of the room. You can also hang new pictures and art to accomplish the same thing. Try new ways to light a room. Track lighting, lamps, fixtures with dimmer switches. All of these things can create a new look to your room. Try different knobs and hinges to spruce up the look of a room. Get rid of the white walls or out-of-date colors. Give your room a fresh coat of paint for a new look. Consider creating accent walls. Warm colors create inviting rooms. If you’re planning on selling your home, your Realtor will recommend neutral colors, but until that time, paint your rooms with colors you like. None of these changes are very expensive, but done right, can really make the area feel new. Done well, a renovation can not only improve your home’s look but increase its energy efficiency and resale value. Pam Faries of Westminster never liked the small shower in her house. After 20 years, she and her husband, Larry, decided that it was time to renovate. They wanted a bathroom with space where they could feel comfortable. They called a professional to do the work. Their contractor was J.R. LeFaivre Construction in Taneytown. “The project manager got what we wanted right away, and we were always on the same page,” Pam said. Their finished bathroom was just what Pam had envisioned. Before you talk to professionals and secure a quote, decide what you want. Then you can get an idea of the cost. This is an annual report that allows the consumer to get a ballpark idea of what a project will cost in a given area. It also tells the consumer how much different renovation projects will increase the value of a home. LeFaivre cautions, though, that these are just ballpark figures, but they offer a starting point. If you find pictures that match your vision for a project, save them to show to your contractor. Your best source for finding a contractor is through the recommendations of friends and family who have had work done. Also try the state and county builders associations. Before calling any contractor, check the company’s Better Business Bureau rating to see if there are any complaints on file. Once you call contractors, the first thing to check on is whether they are licensed and have insurance. If they aren’t licensed, your only recourse should a problem arise is to take the contractor to court. Licensed contractors can have their licenses revoked, and the Maryland Home Improvement Commission also has a fund to finish poor or incomplete work. “People need to protect themselves from someone who is dishonest,” LeFaivre said. A contractor with workers’ compensation insurance helps protect you from being sued by a contractor or other worker who is hurt doing a job at your home. You should also ensure that the contractor has liability insurance. Gene Canale of Finksburg said that when he was considering contractors to work on his home, he wanted one who could show him what the finished screened-in porch and roof would look like, and he wanted a contractor to provide references. As you sit down and go over what you want with a contractor, make sure you get the specifics written down, such as the type of material to be used. These can alter the quote considerably depending on your choices. Also, you might not always want to go with the lowest-priced contractor. “Everybody I’ve ever talked to who has been burned by a builder was always using the cheapest builder,” said Moses Merrell with Merrell Building Enterprises. Make sure you feel comfortable with the contractor. You will be working together for a while. You don’t want to be aggravated with or distrustful of the person working on your home. Remodeling and/or construction will be a disruption to your life, so be prepared. Do your best to be flexible. However, you can do a few things to minimize the disruptions and miscommunications. While a set of plans will be needed to get the proper permit, Merrell also makes sure that his clients have a schedule for when things will be completed and a “to do” list so that the client knows what he or she needs to do. This helps avoid potential conflicts between him and his clients because everything is laid out and agreed upon. LeFaivre adds that you should also have a draw schedule for the project funds. He suggested that not more than one-third of the estimated project cost be taken as a down payment and that no more than five draws on the remaining funds be made unless there are change orders. Alban said that since she was home during the project work, she kept a detailed job log that included things like when the workers arrived and left, what they did, when and what materials arrived. She also took pictures of the work as it progressed. This helped when another contractor reviewed the log and pictures later and was able to quickly identify the problem. You also need to be realistic about things. You don’t want your contractor to use cheap materials so don’t expect quality materials to cost a pittance. If you want something in particular, but it puts your project over budget, you will need to cut something out elsewhere or increase your budget. “The biggest thing that brings a homeowner back to reality is cost,” said Merrell. Seeing the price tag on something homeowners think they want often changes their minds. One thing that Merrell does with clients is to give them a selection of materials within their budget. That way, if they decide on a more expensive material, then they know why a change order is needed and the reason for the cost overrun. By the same token, keep an eye out for bargains or materials available from non-traditional places. For instance, you might find the perfect light fixtures at a yard sale. Try your best to stick to the plan you develop with your contractor. Making frequent changes will only drive costs up and delay the time until your perfect home looks perfect.